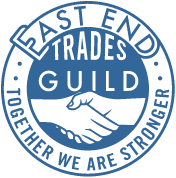 A letter to the Mayor of London organized by the East End Trades Guild has been signed by over 140 small, independent and creative businesses in the area including Tatty Devine, Mother London, Pellicci’s, Ally Capellino and Mark Hix’s Tramshed. The letter is also supported by the Federation of Small Businesses. The growing list of local businesses is saying that the plans – modelled on Canary Wharf – will irrevocably damage the area’s independent, successful small business character which contributes to London’s diversity and should not be ignored. A more beneficial scheme must be found for the 11 acre site, owned by Network Rail. “It’s an area like East London that gives those quirky slightly off-the-radar ideas a chance. Why can’t we make more of that? Why does change always have to mean the corporate, the chains coming in? Because for me that’s when development actually stops, because you’re getting more of what everyone’s seen before.” says one small business owner S. Khan. 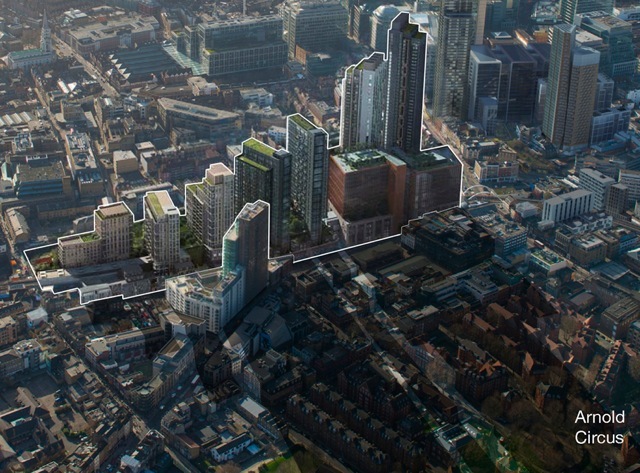 Bishopsgate Goodsyard offers the potential for an exemplary development with local enterprise at its core, benefiting the surrounding community and wider East End through sustainable growth. But we believe the current proposals would do irreversible damage to one of London’s most distinctive neighbourhoods. As local entrepreneurs, we are the heart of the area’s identity – comprising independent businesses, small traders and creatives – attracting people from far and wide. It is the particular diversity of enterprises that have made our area a unique success, contributing immeasurably to London’s culture and creative energy. Many small businesses here have been trading for generations, representing a living heritage that is part of the East End’s history, while many others have come to join the successful mix. Brick Lane, Columbia Road, Bethnal Green and the historic streets in the immediate vicinity of the Goodsyard in Shoreditch and Spitalfields contain a varied economy which exemplifies sustainable growth. Yet Hammerson & Ballymore’s proposed development ignores the context entirely, offering tall buildings in a bland international style on a scale that would completely overwhelm the character of the place. The provision of affordable workspace on the Goodsyard site is a key aim for local authorities. Smaller enterprises are more likely to provide local jobs than larger companies, yet the current Goodsyard proposal is designed for major office occupiers and chain retailing. The plans appear to ignore the volume of similar retail space already approved in adjacent schemes – for example Principal Place, The Stage and the Highgate Hotel, a total of over 10,000 sq m.
Large-scale developments of this kind can kill off diversity of economy through increasing land values that in turn raise local rents, displacing even the most viable of small businesses. This pattern is visible in Spitalfields Market where, over time, virtually all the independent businesses have disappeared, making the area increasingly homogeneous. Similarly, at Canary Wharf there has been no trickle-down benefit to local people or small businesses. Consequently, Tower Hamlets has become one of the most unequal boroughs in London and is still one of the poorest, even twenty-five years after the construction of Canary Wharf. Small and micro businesses are the future of local employment and entrepreneurship in East London. A development on the Goodsyard must offer affordable workspace for tech and creative sectors to flourish and innovate. The Federation of Small Business’s London Manifesto states that the cost of doing business in the capital is a barrier to growth and that over half their members are adversely affected by high rents, both work premises and housing for employees. The Goodsyard development proposal would exacerbate these problems by building predominantly luxury apartments, with only a small percentage of affordable housing. We believe strongly that the Hammerson & Ballymore scheme must be refused and a more beneficial form of development be found for this important site, which has local people and businesses at the core of its conception. In 2010, you said to Londoners: “What is the great genius of this city? Why is London such a fantastic place to live? Because it is a diverse city.” We could not agree with you more. It is in your power to help us create a development on the Bishopsgate Goodsyard site that keeps this “great genius” alive. Turner Prize winners Assemble to speak at our Making the City – Ideas Workshop!